Bovey Tracey house hunters are being urged to act fast as there are only six properties remaining at Devonshire Homes’ popular site, The Tors. The new homes site, which has been under construction since August 2016 and has many residents already, is nearing completion. 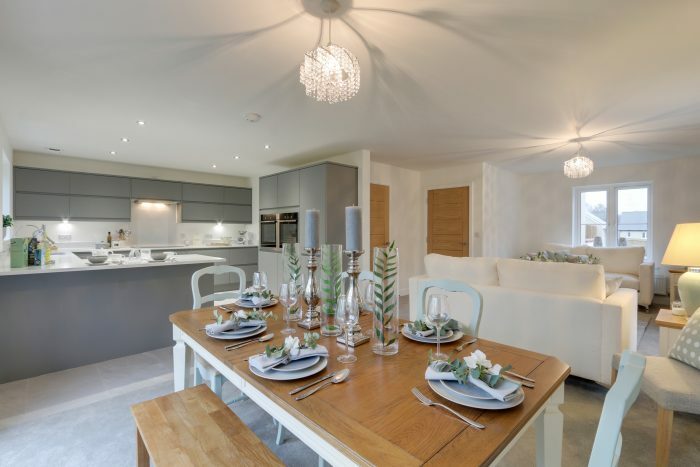 Now, the independent house builder is encouraging house seekers to visit the show home if they don’t want to miss out on living at The Tors, a beautiful site only a stone’s throw away from Dartmoor. 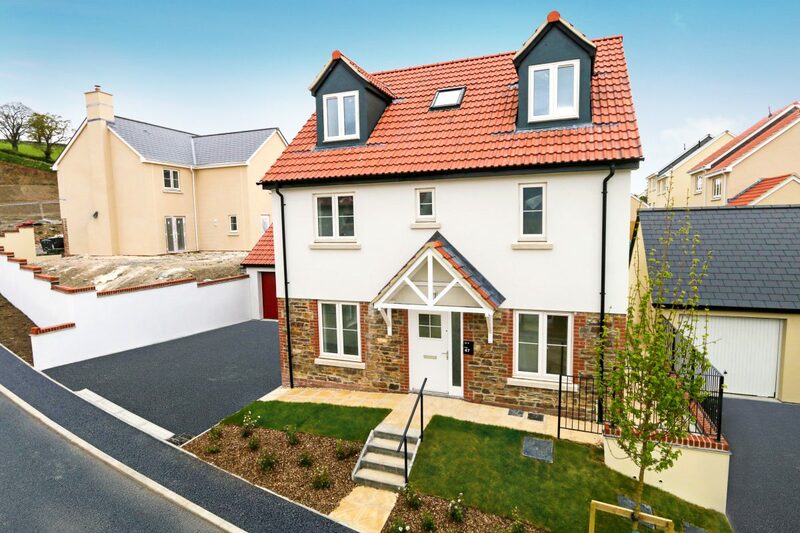 Three and five bedroom homes are available to suit every type of buyer at The Tors. Whether you are a first time buyer looking to step onto the property ladder or an existing home owner looking for more space, there’s a home for you at The Tors. The Webb is a stylish three bedroom house available on plots 21, 22 and 51. Perfect for first time buyers, the Webb offers good-sized rooms with natural light flowing throughout. On the ground floor, house seekers will discover a separate kitchen with integrated appliances. The open plan living / dining area has French doors opening out onto the rear garden, perfect for relaxing in on a summers day. Three bedrooms can be found upstairs including the master bedroom which boasts a luxury en-suite. A family bathroom, understairs store cupboard and cloakroom complete this modern new build home. The Cromwell is an impressive five bedroom home and is available on plots 35, 38 and 39. Suiting modern day family life, the ground floor features an open plan kitchen / dining / living area. This light and airy space is perfect for gathering friends and family in and is flexible to furniture layouts. Potential home owners can access the rear garden from both the utility room and sliding door in the dining area. Three bedrooms, including the master bedroom, sit on the first floor along with a family bathroom. The master bedroom boasts a beautiful en-suite and fitted wardrobes. Two further bedrooms plus a shower room can be found on the second floor. Plot 35 is the show home so house hunters can benefit from carpets and furniture included in the price. Prices for the Webb start from £269,950 and prices for the Cromwell start at £439,950. For more information, call our experienced Sales Team on 01626 572257, email thetors@devonshirehomes.co.uk or visit www.devonshirehomes.co.uk/developments/the-tors . The Tors marketing suite, off Bradley Bends, Bovey Tracey, TQ13 9GJ, is open seven days a week, 10am – 5pm. © 2019 Copyright Complete Estate and Letting Agents.